When you have a lot of larches spring can be somewhat of a disaster. 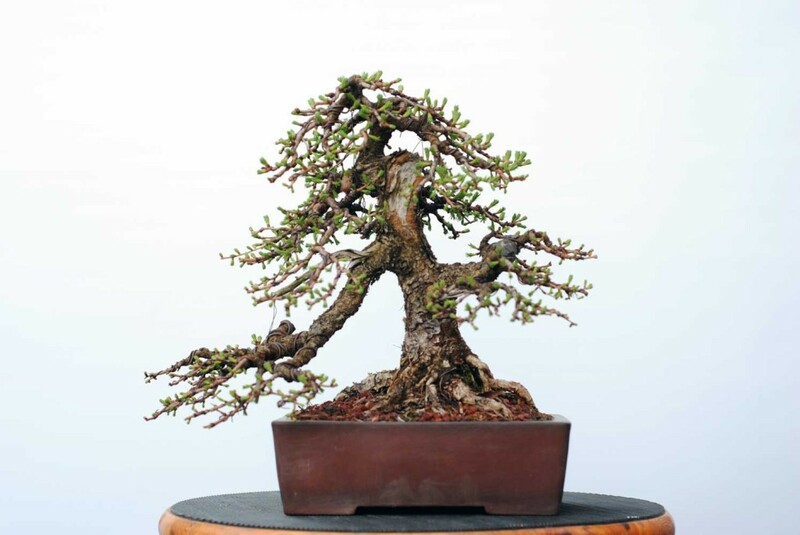 Pruning, wiring, unwiring, and collecting more larches (glutton for punishment) all tend to fall within a fairly short window. 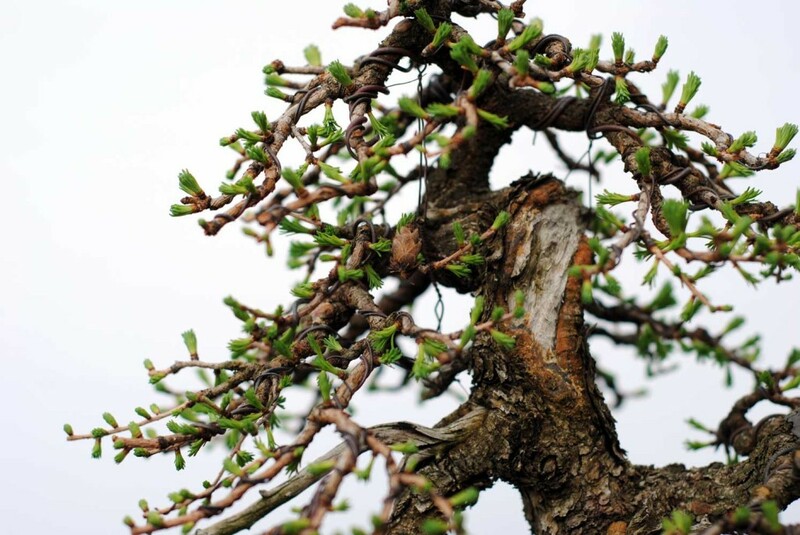 That being said, here are some larches at various stages of development that I have been working on over the past few weeks of this very strange spring (weather-wise). 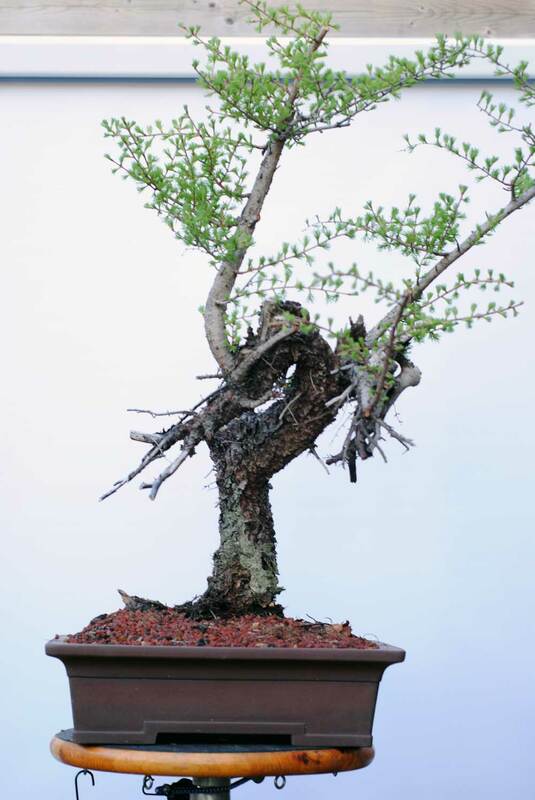 This sinuous larch was collected in 2014 and styled a couple of weeks ago. A massive root was further reduced and it was planted in its first bonsai pot. Collected larches usually come with one or more massive root(s) which fortunately can be reduced over successive transplants. This will need one more big root operation in a couple of years. This big larch was collected in 2014 and transplanted this year. It also had a massive root cut back closer to the trunk. It has a wild character and will take some pondering to find the best front and planting angle. The same larch from another intriguing (but still challenging) angle. 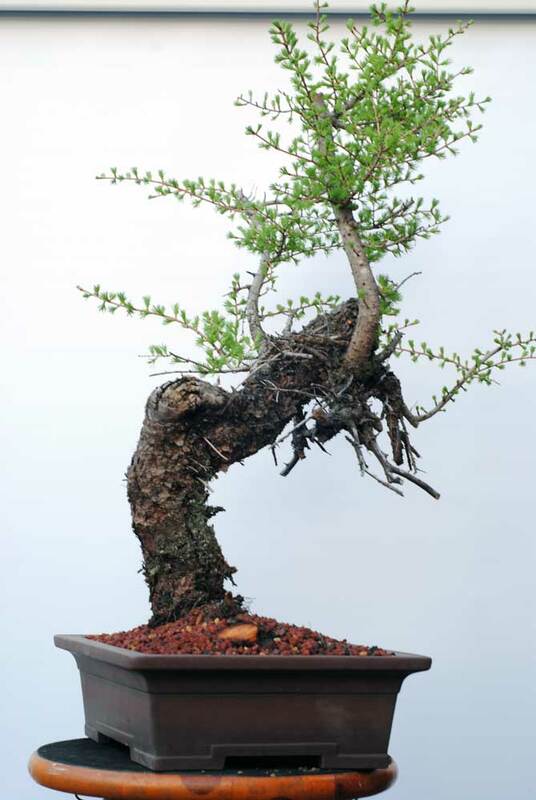 This stout little shohin was divided from the root system of the previous big larch. After a year or two for root development, it will be planted at the correct angle and will be pretty easy to make into a nice little tree. Without the old bark, this would not be worth much, but it is old and therefore has some good potential. 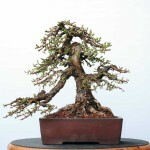 This chuhin-sized larch was styled for the first time last spring and is developing quickly. This year the wire was checked and the branches were trimmed with the aim of further developing the ramification. Can you see the single cone on this tree? The one cone this tree produced last year happened to be in an ideal position and managed to hang on over the winter. The cone is about 1 cm tall. This tiny larch (collected 2013) is notoriously difficult to photograph. Besides pruning, this tree has never been styled. Its development has been set back due to falling off the bench twice (once my fault, the second because of raccoons ). 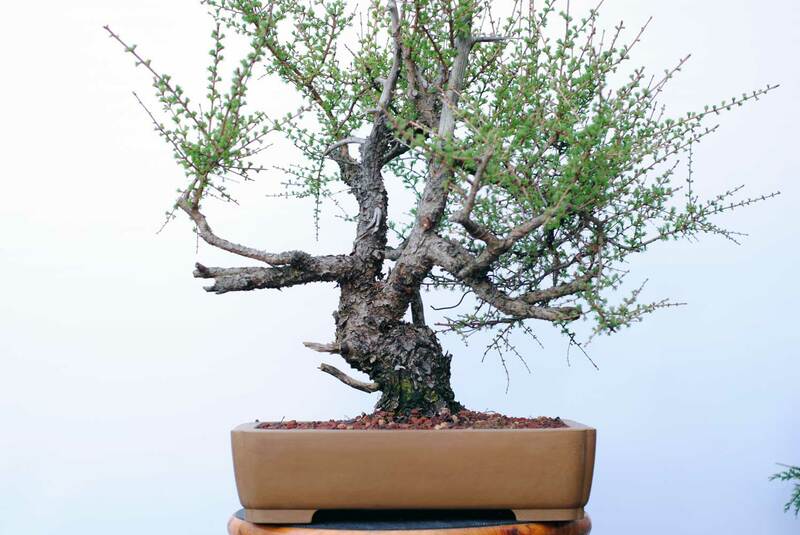 The bark, taper, and trunk movement are ideal. Next spring it will likely be wired. This year I just transferred it into a Nick Lenz pot. 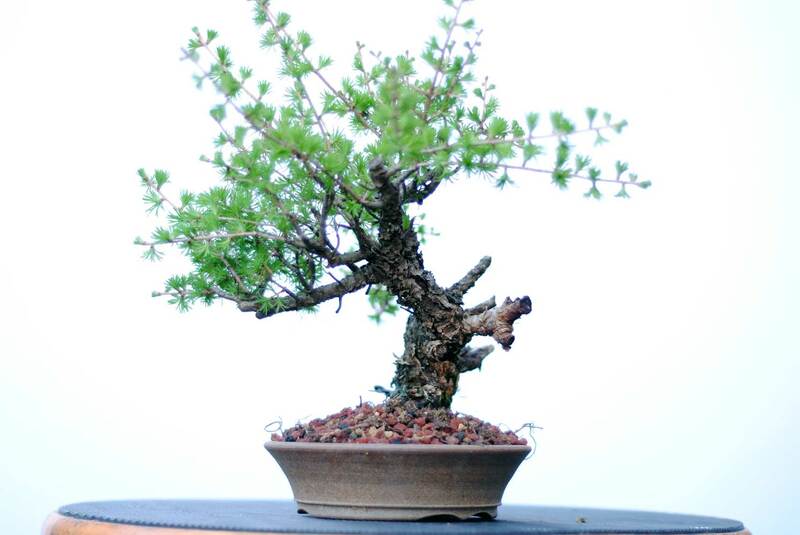 This tree has taught me that larch are not as easy to thread graft as I would have thought. Nick Lenz estimates a 33% success rate. I have a 0% success rate. This year I am trying bud grafting on some larches, and (fingers crossed) seem to be having some success. I will also give summer thread grafting a try. 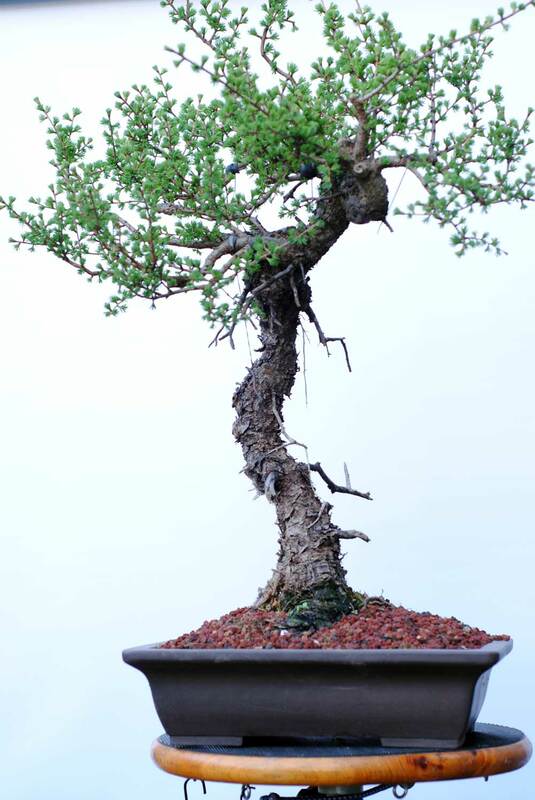 Pruning and wire removal were the normal spring chores for this little forest. 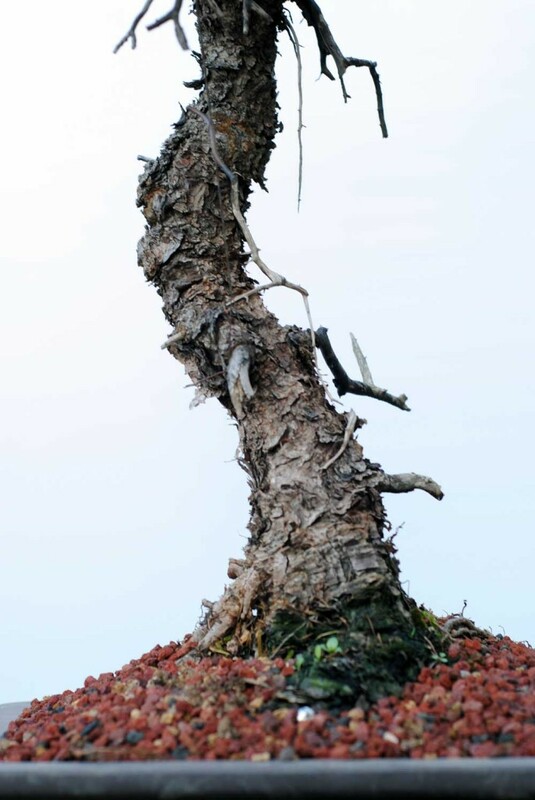 This craggy tree was collected in 2012 and had major root operations in 2014 and again in 2016. 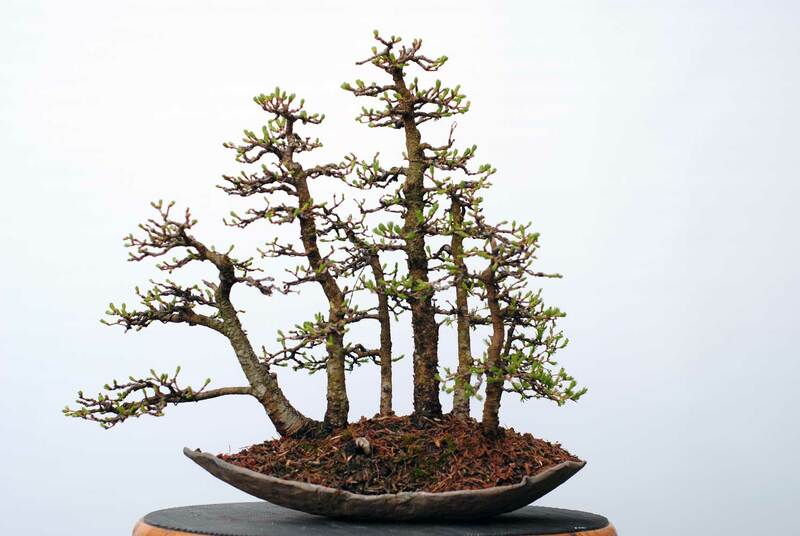 Finally, it fits into a bonsai pot. Last year some rough structural work was done. 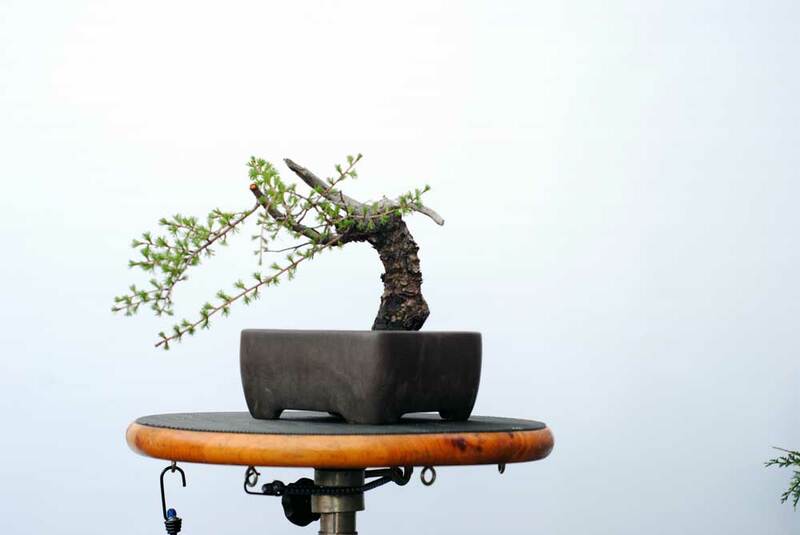 This year will focus on pruning and developing branching so it can be styled next spring. 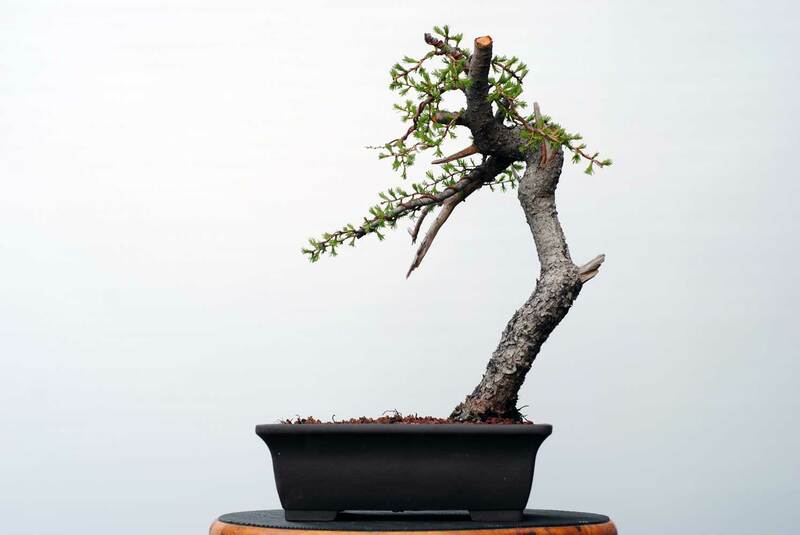 One thing I’ve learned with collected trees is that not rushing them will often help you achieve your goals faster.